A few new restaurants have opened up, and there are a few older ones who haven't made an appearance on my blog because they are in this weird bigger-than-a-local-restaurant but smaller-than-large-chains category. I've had a few questions lately from people out of town who either A - don't realize these are chain restaurants or B - don't consider them "real" chain restaurants since they're small or regional. So, if you're wondering about these ones because you haven't heard of them, here are my opinions. 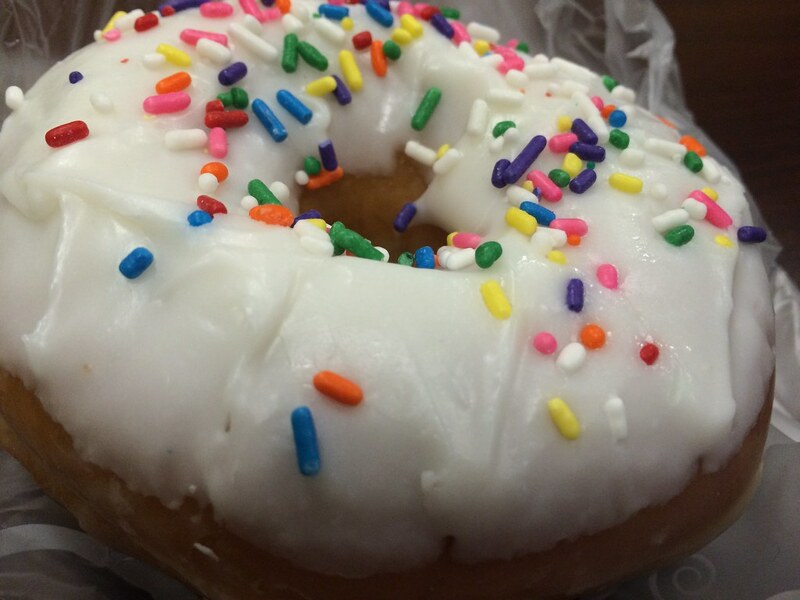 Here's an end-of-the-week catch up. 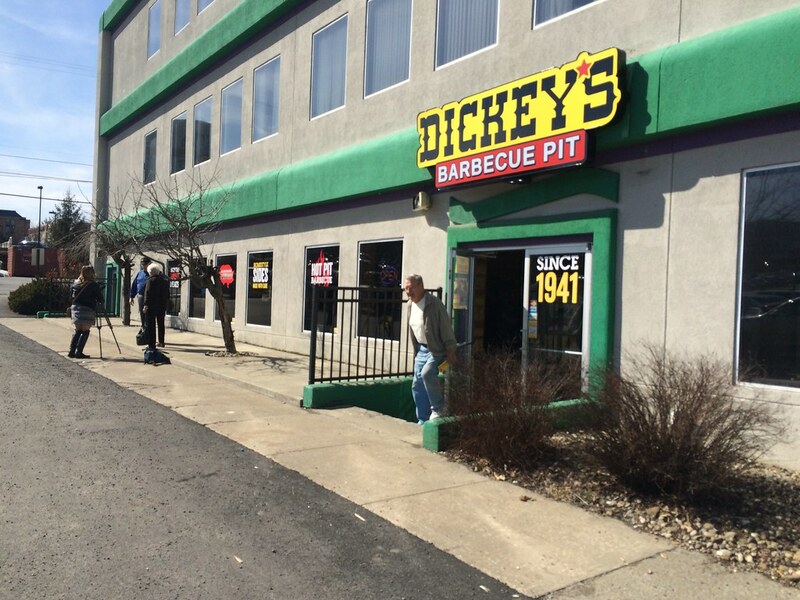 Dickey's Barbecue Pit just opened in the former Oliverio's Marketplace location. Oliverio's Ristorante simply serves lunch at their main location now. 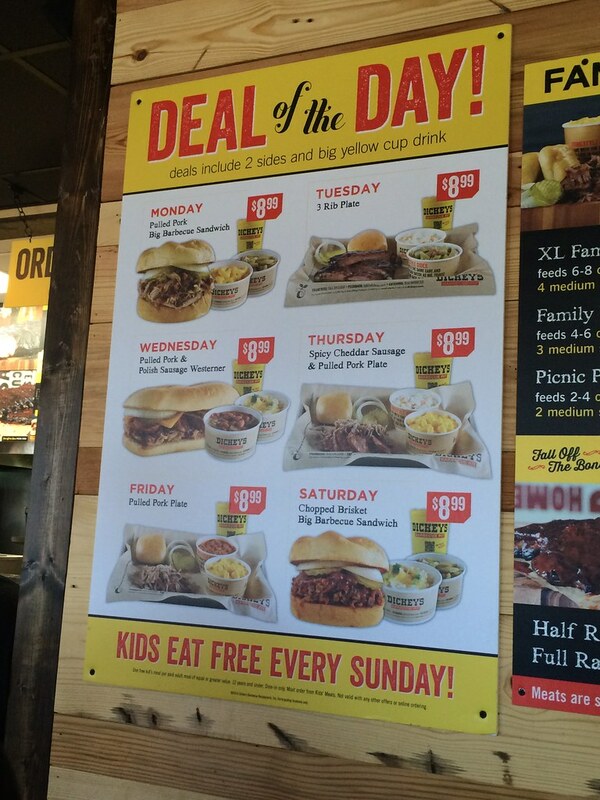 Dickey's is a chain BBQ place, but there aren't many in the state. And, this is the first one in Morgantown. 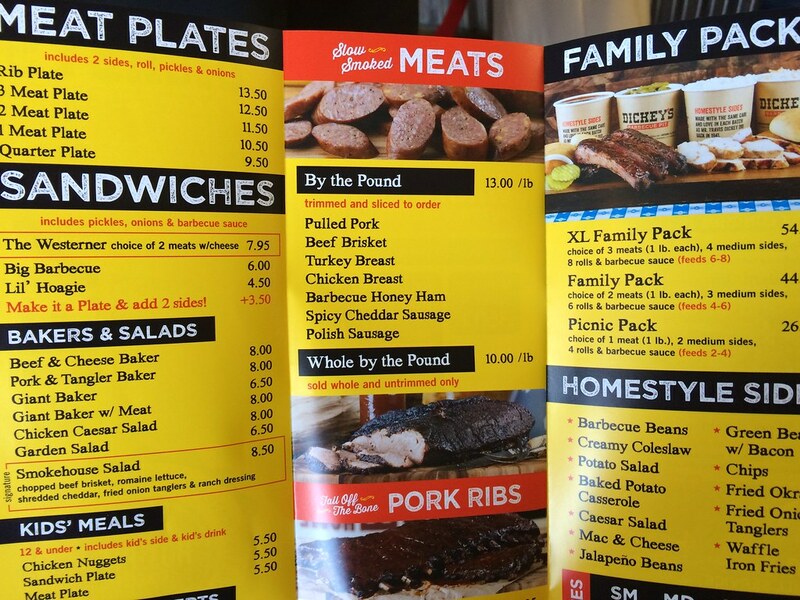 They have a pulled pork, beef brisket, honey ham, spicy cheddar sausage, polish sausage, pork ribs and turkey breast. You can get those as a meat plate, with 2 sides, a roll, pickles and onions. Or you could get a sandwich, plus they have "bakers" and catering options. I went with a two-meat meat plate, which just so happened to be the special that day: pulled pork and spicy cheddar sausage. 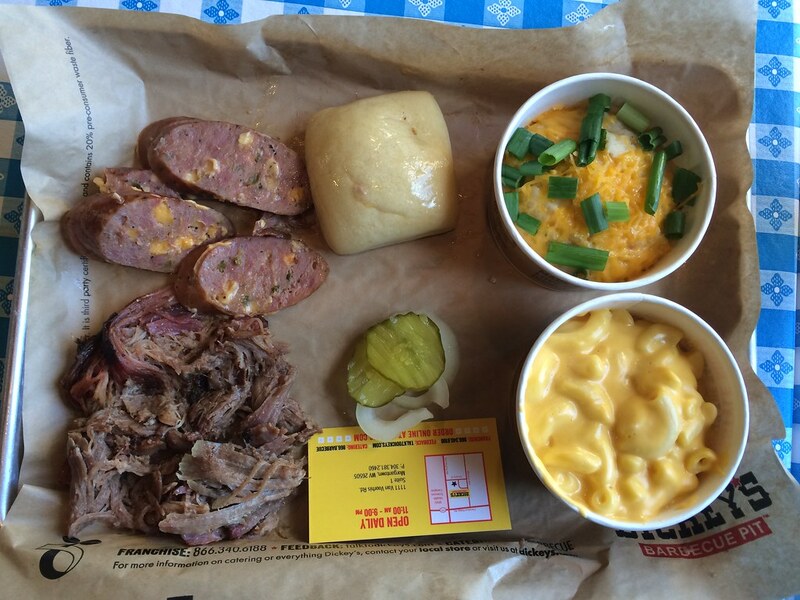 The sides are pretty exciting, and I went with mac and cheese and the baked potato casserole. They had three sauces off to the side you could choose: regular, spicy and sweet - most of which tasted similar. I think I ended up using the regular mostly. Tony, who knows more about BBQ, said it had some good color. And that it had a nice smoke ring. He said the brisket was pulled, which was different. We were all fans of the pulled pork, which was moist. The mac and cheese was average, and the potatoes were tasty. Tony and Jake thought the baked beans were OK. There are a lot sides, though, so that's fun. But the best part? Free ice cream. Even though it was free and vanilla, it was actually pretty good. 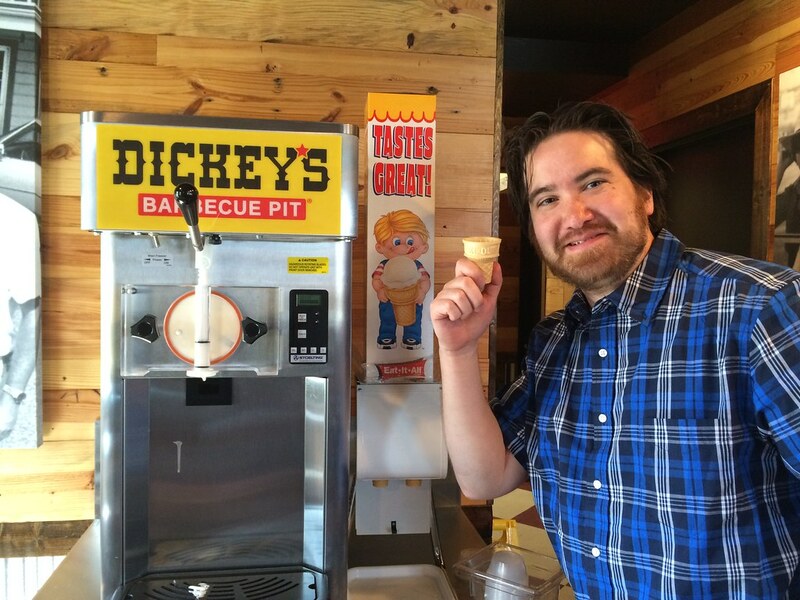 Maybe free ice cream just tastes good. Anyway, it joins the other half dozen or so BBQ joints in town. I think Morgantown just woke up one day and decided we needed all of the BBQ. 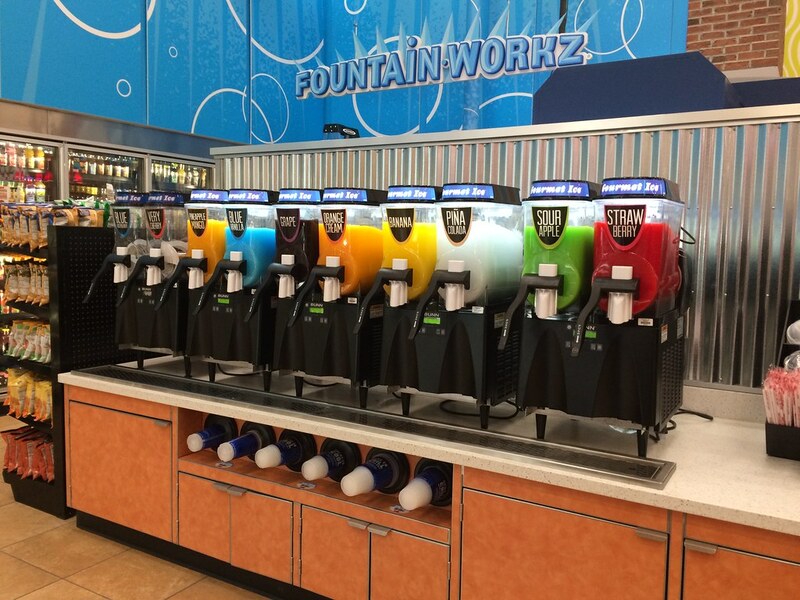 The Altoona, Pennsylvania, based gas station/convenience store Sheetz has spread out into Pennsylvania, Maryland, North Carolina, Ohio, Virginia and West Virginia. They currently have four locations in Morgantown, plus this new concept location in University Place, plus another one planned. 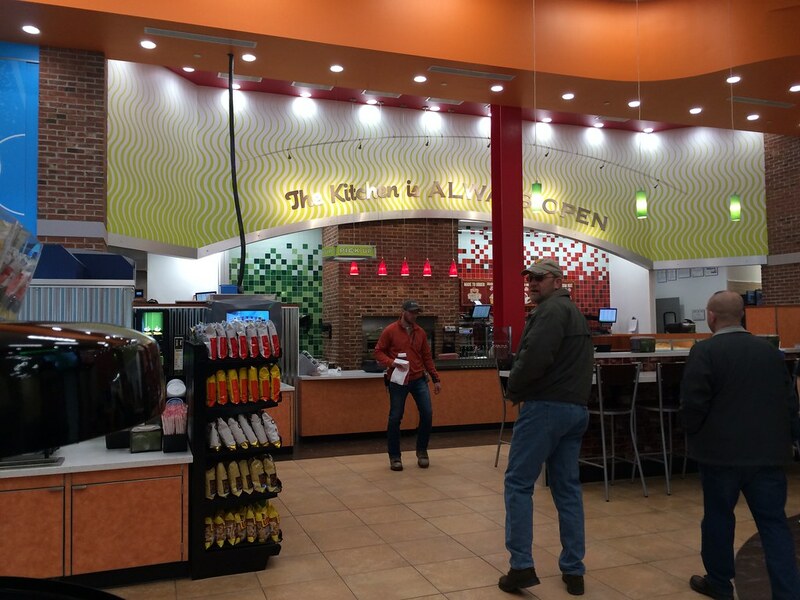 The new concept Sheetz located in the WVU public/private partnership University Place opened recently. This Sheetz does not offer gas - a first for the gas station. 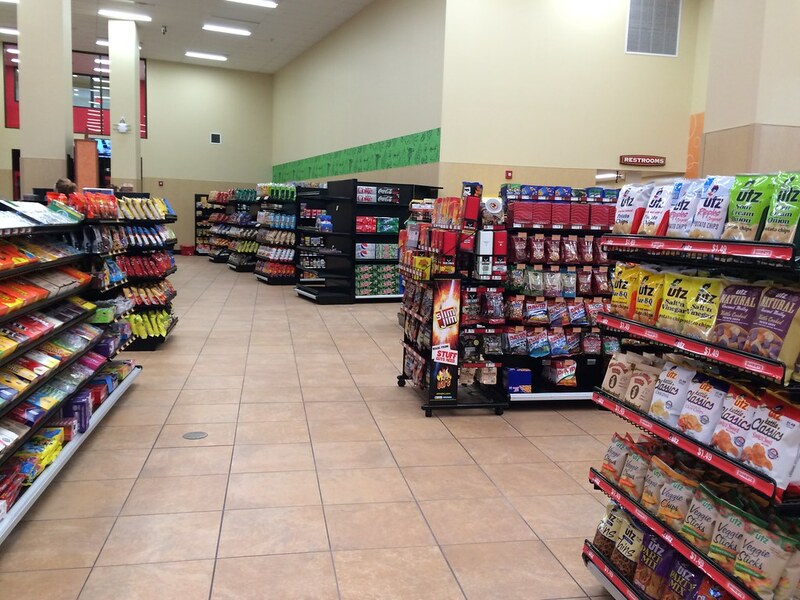 Instead, it offers a larger grocery store/convenience store only. There's a huge focus on the MTO food and some premade items. Plus they'll have meat, cheese and produce. I went briefly when I had a voucher for their soft opening so they could work to get set up and work some kinks out. And I may have had Sheetz not once, but twice, in one day. I'm a big fan of their chicken sandwich now. Seriously. Sold. Shoney's, which began in Charleston, West Virginia, made headlines last year when it announced its Morgantown location would serve alcohol. Shoney's is now located in 16 states, but it's still kind of cool that it was started here in West Virginia. I don't dislike Shoney's; I just haven't been to this location yet. But I assume once you've had one, you've had most of them. Right? So, here, I went to one in Princeton. God, now looking at that blog post, it makes me want a fish sandwich. And now I'm revisiting the idea of just making this a wrap-up post and not doing a review specifically devoted to Shoney's. I actually really like Eat'n Park. Growing up, we would go here in high school because it was open late, and they actually allowed smoking in one area. I don't smoke, but many of my friends did, because it was the cool thing to do in high school. You know how that goes. Eat'n Park is located in West Virginia, Pennsylvania, and Ohio. They have the best cookies. Seriously. Get a smiley face cookie. I'm also a fan of their grilled cheese (paired with the homemade soup on the salad bar) and the buffalo chicken salad. Don't expect some inspired, creative culinary masterpiece. But, it's a decent meal at any hour you want. Garfield's food is OK. Did you know there are only two locations in West Virginia? One in Bridgeport and one in Morgantown. It makes more sense to me now when people ask about it. Their menu is fine, but I just have no attachment to this restaurant. All of the food is OK, and if you're in the mall and want a nicer sit-down place (as opposed to the food court), Garfield's is probably your place. Chicken fingers, quesadillas, sandwiches, burgers, pasta. You get the idea. If you're looking for a local flair, you're not going to get it here. But, it's an OK option and one of the few in the state nearby. Cheddar's has four locations in West Virginia: Beckley, Vienna, Wheeling and Morgantown. Previously, I used to think Cheddar's was this general crowd-pleasing place that most people could find something they like. It's similar to the previous three restaurants in that if offers a little bit of everything for everyone, and since it's not super widespread, it's new to some. However. Cheddar's is the restaurant that taught me what food poisoning is. And if you're not sure if you've had it or maybe had a touch of it, you are wrong. You know it when you get it. It was probably one of the worst experiences of my life, right up there alongside the flu (twice) this past year. I have only ever had food poisoning once, and it was from Cheddar's pasta alfredo. I have been to some really, really sketchy places. And I've certainly not always felt great afterward. But this, this was full on food poisoning. I still get a little anxious ordering pasta alfredo years later. But, I really try to avoid this place at all costs. I have questions concerning the cleanliness for multiple reasons. So, there you have a it. 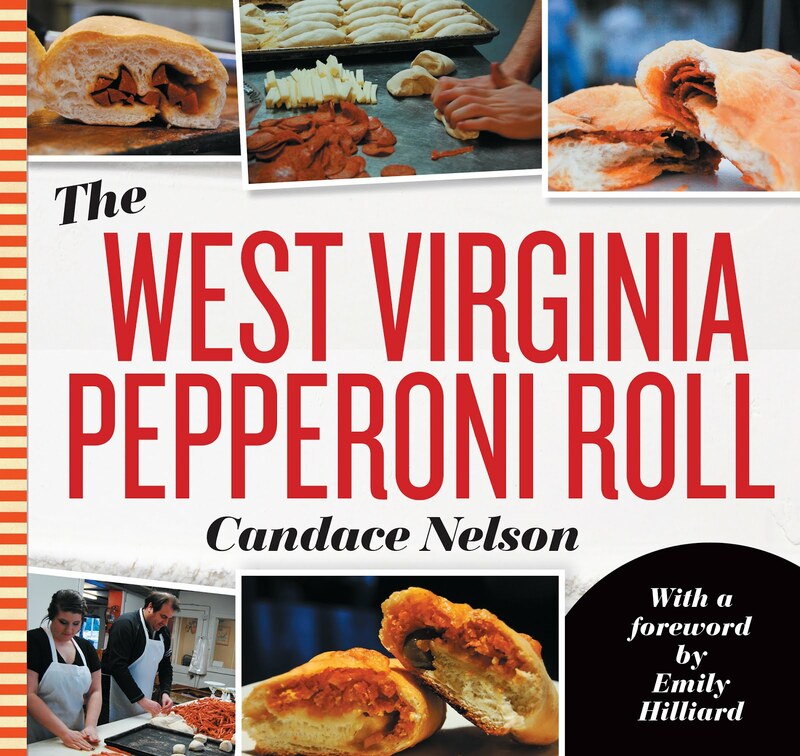 A quick wrap-up of some of the smaller, regional chains that either have a connection to West Virginia or are few and far between here. Irish Spring Festival in Ireland, W.Va.